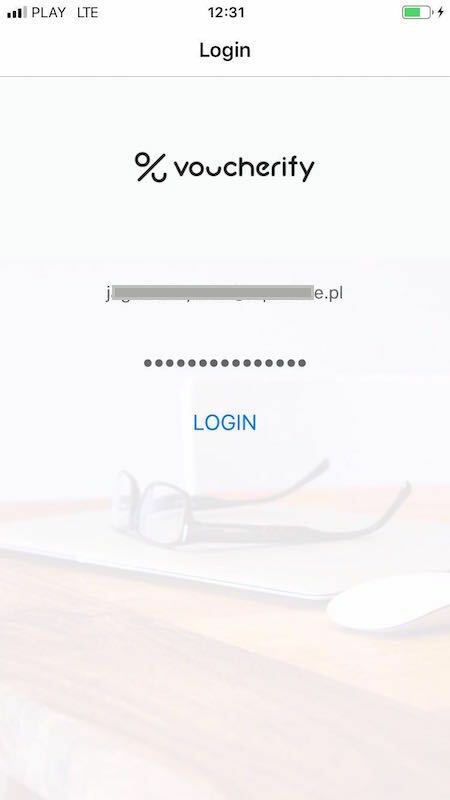 After you download the Android or iOS app, you can log in to your Voucherify account. The 1st section stores all redemptions made with your codes (offline and online) divided into succeeded and failed ones. 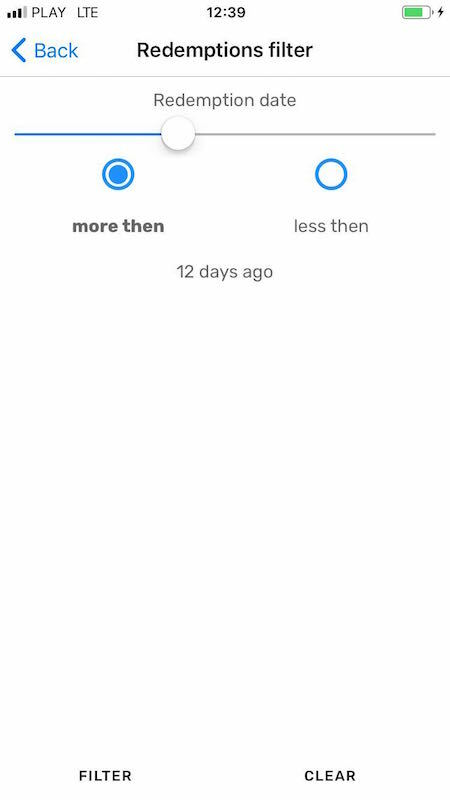 You can filter out redemptions from a particular time period by choosing FILTER > setting up a time period > FILTER. 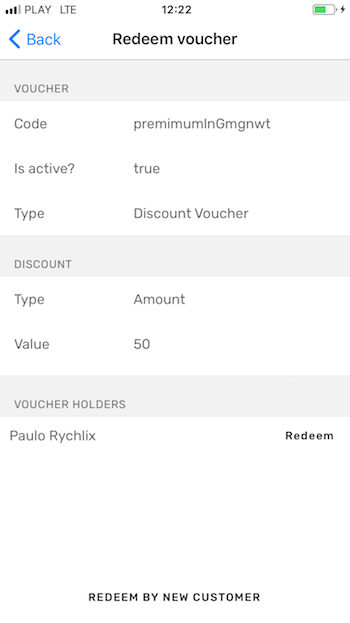 In the last section called Voucher Holders, you can see customers who are already assigned to this code. 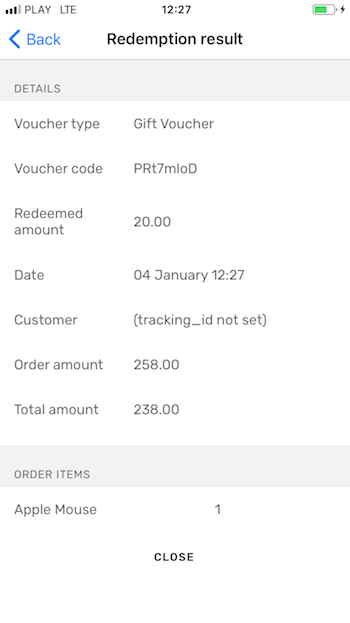 If you want to make a redemption in behalf of the voucher holder, click on 'Redeem' next to his/her name. If you'd like to assign and redeem code in behalf of a new customer, click on REDEEM BY NEW CUSTOMER. 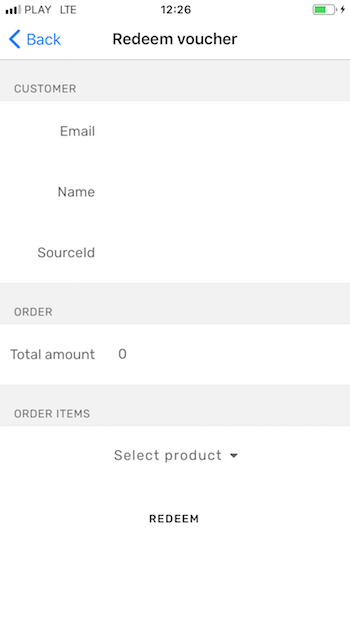 In both cases, the app will automatically direct to you the order details. 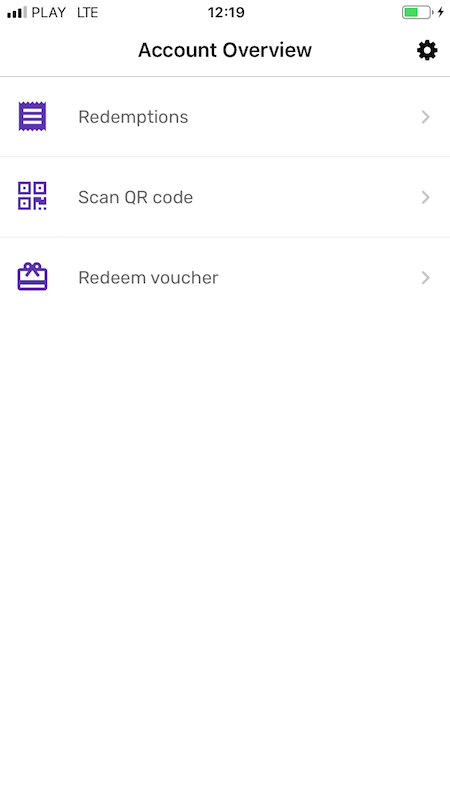 Using the last section in the mobile app enables you to redeem code manually by putting a code in a text format. 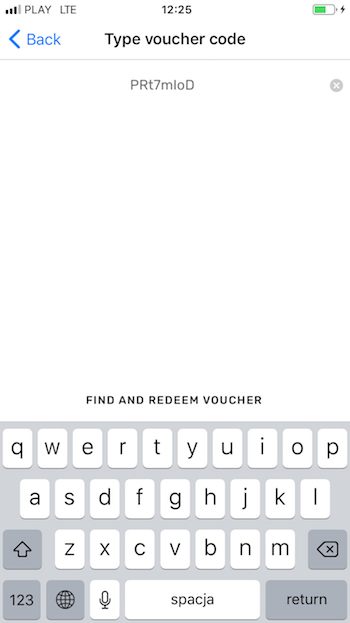 Likewise, the app will ask you to define a redeeming customer and to add the order details. When ready, confirm redemption with REDEEM. 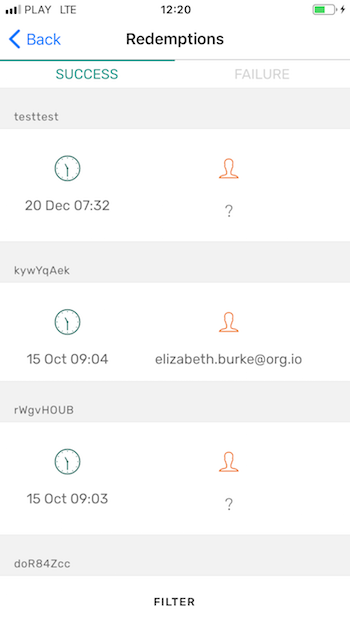 Voucherify will validate the code and display redemption response right away. That's it!